As most success stories begin, Cordova’s started out humbly. 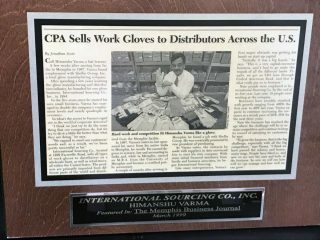 It began 25 years ago in the garage of founder Himanshu Varma and his wife, Anita, in Cordova, Tennessee, as a glove import business. From there, it quickly grew into a full-range, head-to-toe industrial supplier of personal protective equipment (PPE) winning awards and recognition along the way. Follow us through the Cordova Safety Products time capsule. Founded as International Sourcing Company, Inc., in Cordova, Tennessee. 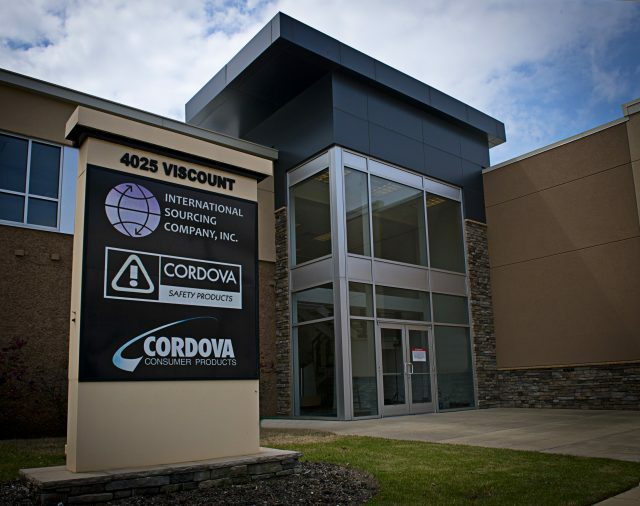 As most inspiring success stories begin, Cordova Safety Products started out humbly. It began in the garage of founder Himanshu Varma and his wife, Anita, in Cordova, Tennessee, as a glove import business. It was known, then, as Cordova Work Gloves. Beginning with only two employees and a vision of becoming a full-line safety supply house, it quickly grew into a full-range, head-to-toe industrial supplier of personal protective equipment (PPE). After only one year, Cordova employs nine people, exhibits at its first tradeshow, and experiences a sales growth of 400%. Cordova moves from garage to 1299 Farmville Rd, Memphis, TN 38122. Within five years of its founding, Cordova continues to increase sales and expand new product lines, adds 35 new employees and moves into a larger facility to accommodate the rapid growth. Founder Earns Executive of the Year. Himanshu Varma earns Memphis Business Journal Executive of the Year among small business owners after doubling number of employees and quadrupling revenue. Cordova opens a West Coast facility in Commerce, California, to carry a wider variety of inventory and serve West Coast customers more efficiently. 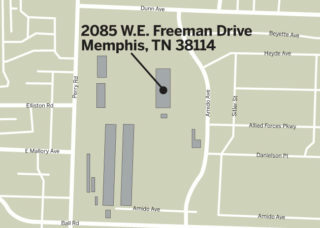 Cordova relocates to 2085 West Freeman Drive, Memphis, Tennessee. 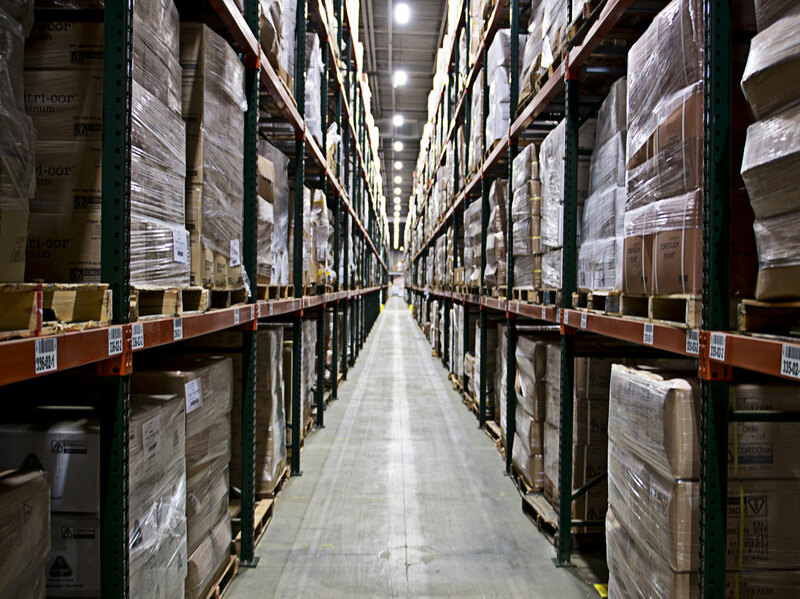 This larger facility hosts over 150,000 square feet of warehouse space, and state-of-the-art vertical shelving systems and forklifts to stock more product than ever before. Earns Fastest Growing Privately Owned Companies in America from Inc. Magazine. 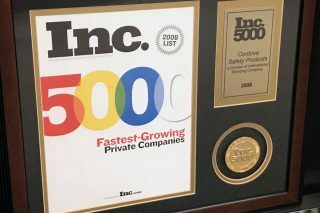 Through persistence, knowledge, and dedicated customer service, Cordova grows exponentially during this time, earning a place on Inc. Magazine’s list of the Fastest Growing Privately Owned Companies in America eight years in a row. Earns the trust of the Stanley brand. 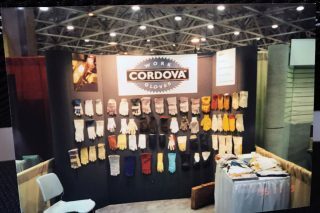 Cordova proudly becomes an authorized licensee for the Stanley glove line to expand its product offering further into the retail market. The Stanley brand has been synonymous with quality, value and reliability for more than 165 years. Named Top 100 Private Company by Memphis Business Journal. Outgrows space . . . again. Moves into a one-million square-foot warehouse at 4025 Viscount Ave., Memphis, Tennessee. 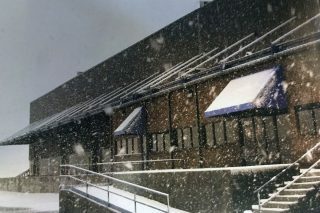 These new and current headquarters rest on 39 acres and include warehousing with 32-foot ceilings, 95 dock doors and more than 60,000 square feet of administration space. From here, along with a distribution center in Commerce, California, Cordova can confidently supply products to distributors across the U.S., Mexico, and South America. Earns the trust of Dickies brand. Cordova proudly becomes an authorized licensee for the Dickies glove line. Dickies® creates quality workwear made tough for any job. Acquired by Bunzl Distribution, headquartered in London, England. Due to Cordova’s success, investors came knocking. In June 2015 Cordova became part of a growing PPE division dedicated to developing strong brands and delivering profitable growth to distributor partners. Using Bunzl Distribution’s wide reach and logistics, Cordova is able to further strengthen relationships with manufacturers worldwide, create efficiencies, and provide outstanding customer service. Begins offering custom logo imprinting services. Cordova can now help customers stand out. We can take logos and imprint them on gloves, eyewear, vests, shirts, sweatshirts, jackets, rainwear, helmets and more. We also offer vendor packing on select products. 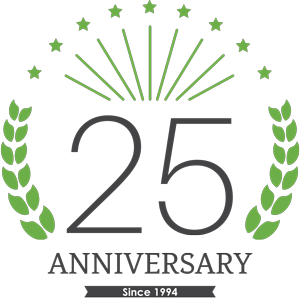 For 25 years Cordova has been providing retailers and industrial safety suppliers with more products at competitive pricing than any other supplier in the safety protection industry. We continue to do this by using Bunzl Distribution’s wide reach and logistics, strengthening relationships with manufacturers worldwide, and providing outstanding customer service. If you haven’t tried us, we invite you to. If we can’t find what you need, it doesn’t exist. If it doesn’t exist, we can make it happen.